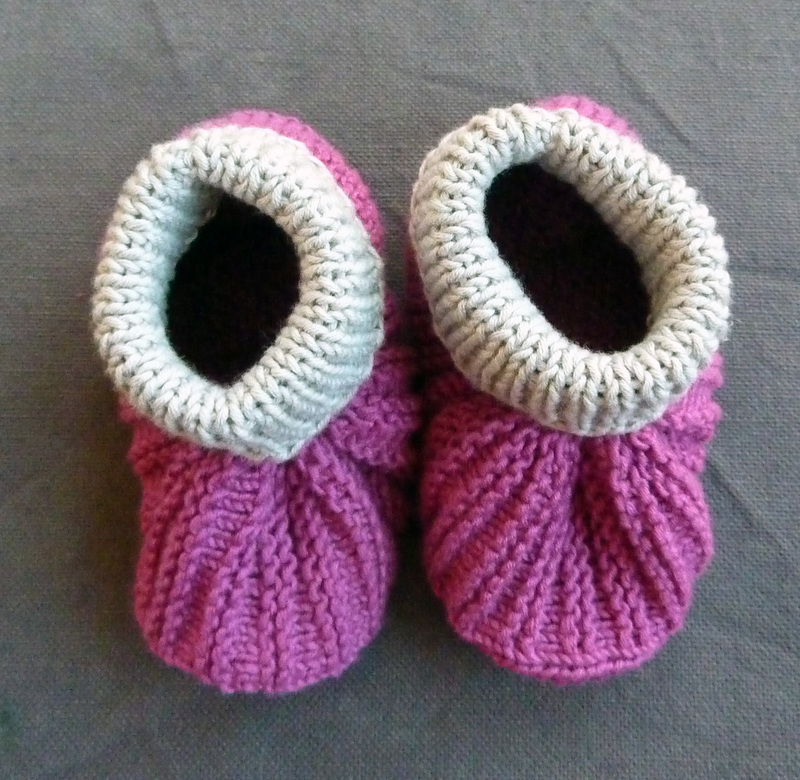 Here’s another pair of my booties. The pattern is available on Ravelry, or get in touch with me if you’re interested. 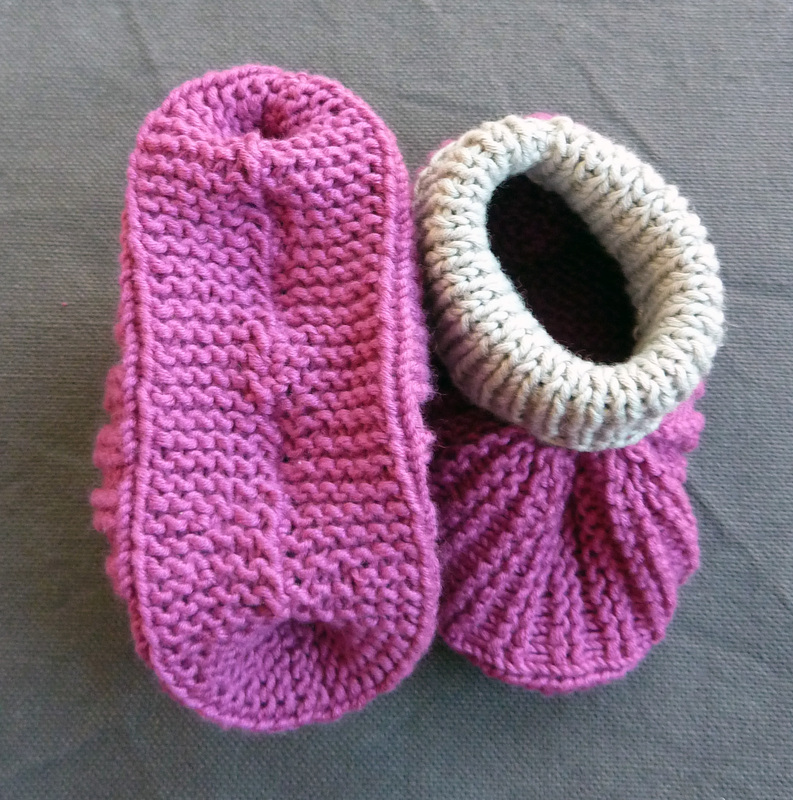 This pair was knit out of Drops Safran as it was for my friends niece who lives in South Africa. 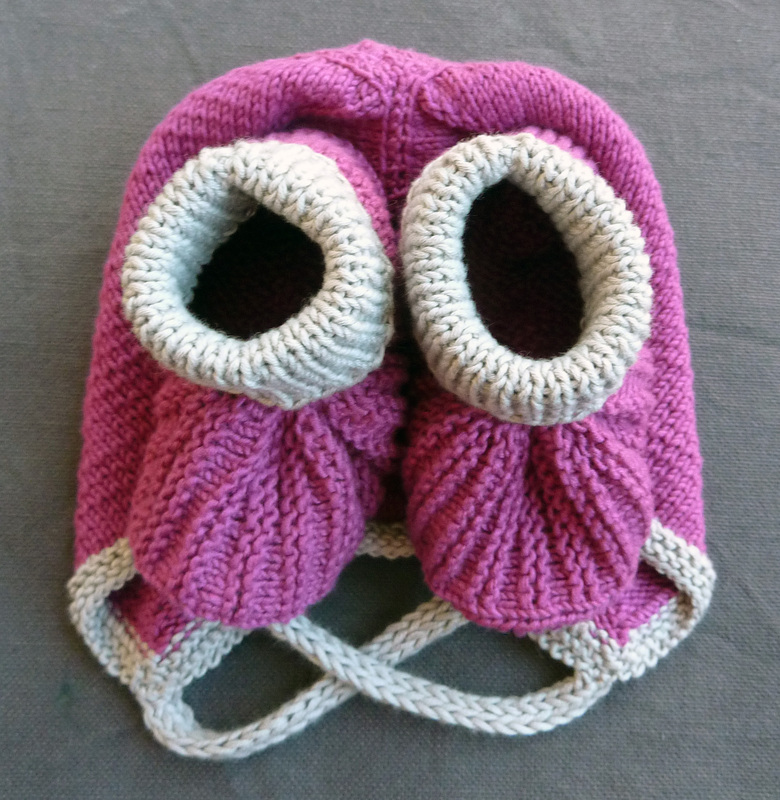 I made this as part of a combination which included a bonnet, which I just blogged about recently. And here’s a nice final picture of the combo. 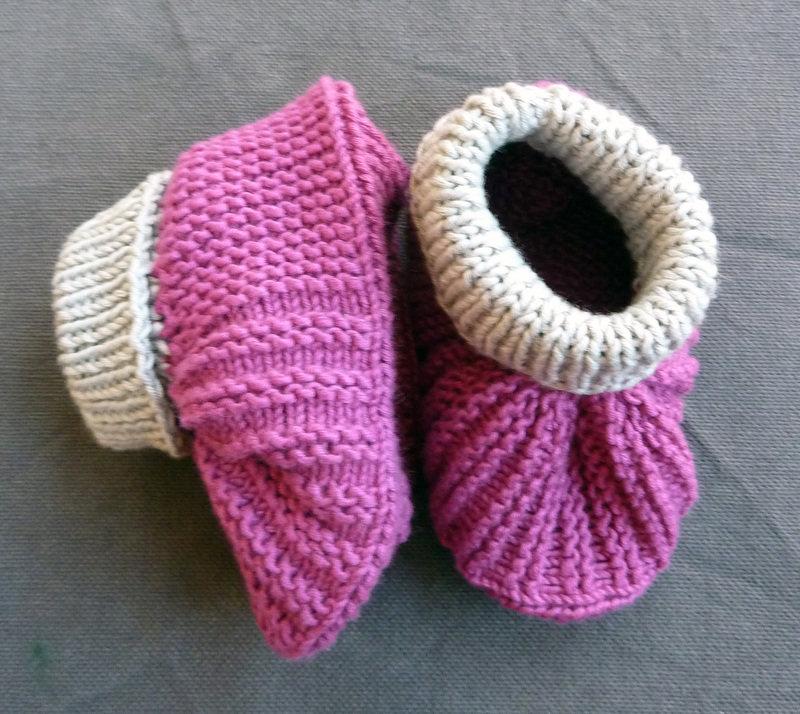 This entry was posted on December 1, 2011 at 12:00 pm and is filed under Baby, Knitting with tags Anna's booties, booties, socks. You can follow any responses to this entry through the RSS 2.0 feed. You can leave a response, or trackback from your own site.